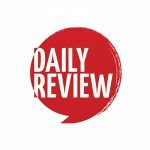 'Istanbul - a Tale of Three Cities' by Bettany Hughes book extract | Daily Review: Film, stage and music reviews, interviews and more. 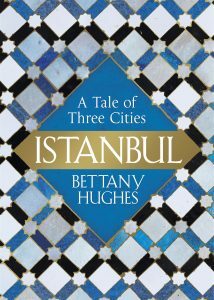 Bettany Hughes‘ new biography of one of the world’s greatest cities – Byzantium, Constantinople, Istanbul – is rightly described as epic. Weighing in at close to 800 pages, Istanbul takes the reader on a journey through the city’s many incarnations. It has long been the gateway between the East and West and has served as the capital of the Roman, Byzantine, Latin and Ottoman Empires. No wonder it was simply known as The City for much of its history. As the longest-lived political entity in Europe, Istanbul has absorbed a mosaic of micro-cities and cultures over the last 6,000 years. At the latest count, archaeologists have measured 42 human habitation layers. Phoenicians, Genoese, Venetians, Jews, Vikings, Azeris all lived on this patch of earth. But in this first chapter, extracted below, Hughes reminds us that the story of Istanbul is also the story of the sea. 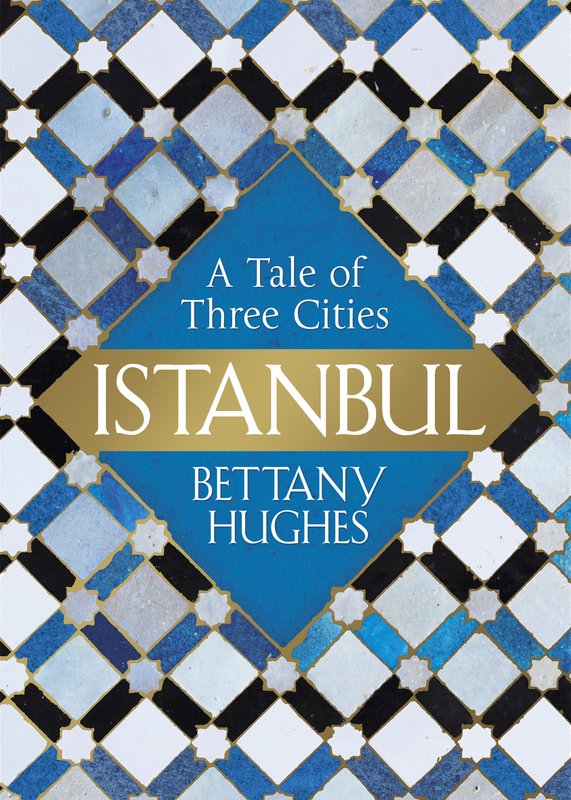 Istanbul – A Tale of Three Cities by Bettany Hughes is published by Hachette Australia. Suddenly a huge wave rose up before them, arched, like a steep rock; and at the sight they bowed with bended heads . . . Then a vaulted billow rushed upon them, and the ship like a cylinder ran on the furious wave, plunging through the hollow sea. And the eddying current held her between the clashing rocks; and on each side they shook and thundered; and the ship’s timbers were held fast. Th en Athena with her left hand thrust back one mighty rock and with her right pushed the ship through . . . apollonius rhodius describing jason’s journey through the bosporus….- Apollonius Rhodius describing Jason’s journey through the Bosphorus, The Argonautica. A coffin is the place to start. In 2011, tucked up under the new Yenikapı metro station in the centre of modern-day Istanbul, opposite shops selling dusters and plastic buckets, a body was found. Curled into a foetal position, orientated south-west–north-east, cradled within a lattice of wood beneath and a single piece of wood above, surrounded by wattle-and daub neolithic houses with funerary urns near by, this Stone Age woman was buried in what is, to date, the world’s oldest wooden coffin. Thee 8,000-year old remains are either a unique find, unusually well preserved in the anaerobic conditions of Istanbul’s mud, or instead a unique insight into the burial practices of our neolithic Anatolian ancestors. Dating to the period 6300–5800 BC (close in time to the world’s earliest-known formal ‘town’, Catalhoyuk in central Turkey), the young woman lying here was clearly attempting a good life for herself. In the same excavation archaeologists have found, in an oily layer beneath the seabed itself, the tools – including a wooden shovel, seeds and burnt organic remains that belonged to her social group. Some think the shovel was in fact a canoe oar, making it the earliest ever found, 8,000 years old. Remarkably too, well over a hundred human footprints from this prehistoric hamlet have survived. Some of these Stone Age Istanbullus travelled barefoot, others used wooden clogs – similar to those worn in the modern city’s hammams. The Sea of Marmara was originally a brackish inland lake, as yet unidentified pachyderms roamed the valleys, panthers the hills, and over 9,000 identified species of flower bloomed. This was a location that was well worth walking to – a patch of earth that gave life. A total of 236 natural springs have been charted in the wider Thracian peninsula – the region between the Black Sea and the Aegean Sea on whose eastern edge Istanbul is found – streams, springs, rivers, lakes and lagoons, all set within oak, chestnut and pistachio forests. That young woman in the coffin had joined many generations – reaching back to the paleolithic age – who appreciated the charms of what is now greater Istanbul. Her earlier mesolithic neighbours were found near by, alongside the giant bears of the Pleistocene in the Yarımburgaz Cave which overlooks the edges of the modern city. The pale limestone rock, reached by an old road that runs past factories promoting tea services and pens of sheep waiting for slaughter at the Festival of Eid, offers a natural home. Extending more than half a mile into the rock face and fifty feet high in places, under earth and manure in the Yarımburgaz Cave, traces of greater Istanbul’s very first human inhabitants – their spearheads, bone fragments and other stone tools of quartz, quartzite and flint – have been uncovered in what are still ongoing excavations. In Istanbul water is so ever present that her inhabitants are forced to make it friend rather than foe. The view from the cave complex now is of the modern city stretching like a phagocyte around a lagoon or golu called Kucukcekmece; in the Stone Age it would have been of dense woods and water. In the winter bears hibernated here, in the spring human communities moved in. Some remains in the cave reach back 600,000 years – 400,000 years before the advent of Homo sapiens – making this site in greater Istanbul one of the oldest inhabited locations in the Near East. Archaeologists and a number of the city’s officials are rather perturbed that recent human activity in this prehistoric treasure trove has included film-making, drug-taking, mushroom-farming and prostitution. The early hominids and their Stone Age descendants would have lived in an evolving landscape very different to the one we see today: the Sea of Marmara was originally a brackish inland lake, as yet unidentified pachyderms roamed the valleys, panthers the hills, and over 9,000 identified species of flower bloomed. Giant deer, mammoth, spotted hyenas were all here, luxuriating in a climate that would come to be two degrees warmer than our own. That wooden coffin was uncovered when $4 billion worth of sub-aqua tunnel was being constructed to join the Asian and European sides of the modern city. In addition, four human burials and four cremations dating to around 6000 BC have been found. The area is revealing itself as an archaeological theme park: when a drought in 2007 forced local farmers to cut new irrigation channels 17 miles away from the city centre, archaeologists swooped in and rescued modest little finds that are proving to be historic gold. Because here, at the edges of Kucukcekmece Golu and on Istanbul’s Black Sea shore, is the earliest evidence of the meat and veg of human civilisation in Europe – naviform core, (boat-shaped, worked stone) and pressure-worked flint. There are also meat-cleavers, flint knives, bone-scrapers. When we spend time in the company of Istanbul we must remember that this is a story of a city and also a story of the sea. Were these the locations of a prehistoric hunting lodge? A rest-stop for men and women who sometimes hunted, sometimes farmed? Excavations at the upper end of the Golden Horn are expected to yield further evidence. Greater Istanbul, almost certainly, has been hiding evidence of farming in Europe a full millennium before it was originally thought to have arrived. The neolithic community which lived in and around Istanbul was winning out in the struggle to survive on earth. But then the earth fought back. Around 5500 BC in an earth-shattering, epoch-forming intervention that would determine the city’s character and ensuing life-story, the topography of greater Istanbul was created. Following a dramatic rise in sea level following the melting of ice-sheets, sea floodwaters hurtled inland to scour out the Bosporus. The Black Sea was transformed from a shallow, freshwater lake into a maritime opportunity as saltwater shellfish replaced fresh. The waters here could have risen by as much as 238 feet over a period of 300 days. The Golden Horn was created as an estuary with natural harbours, fed by two springs known as the Sweet Waters of Europe, Kydaris and Barbyzes. In the creation of this new world many lives were destroyed; signs of human habitation, drowned buildings and worked timbers are now emerging from the Black Sea bed. Some estimate that 10 cubic miles’ worth of water hurtled over the land-sill within one year, flooding more than 600 square miles of land. It was an event that destroyed one world but also made a world-class city a possiblity. Where a number of civilisations such as Egypt could have a somewhat ginger relationship with the oceans, in Istanbul water is so ever present that her inhabitants are forced to make it friend rather than foe. ‘Garlanded by waters’ is how one chronicler described the city. Istanbul today is lapped by the Golden Horn, the Bosphorus and the Sea of Marmara; to the north is the Euxine or Black Sea, and to the south, through the Hellespont or Dardanelles, the Mediterranean. This ‘Liquid Continent’ – also called through time the White Sea, the Faithful Sea, the Bitter Sea, the Great Green and Mare Nostrum – offered opportunity and obliteration in equal measure. In a world of oar and sail, of inlets and natural harbours, the creation of two continents with the advent of the Bosphorus meant that Istanbul’s land became possibility incarnate. So when we spend time in the company of Istanbul we must remember that this is a story of a city and also a story of the sea. I am not sure where Fotis gets his idea that “the reviewer has misssed (sic) a critical point”. If Fotis has not read the book, then how is it possible to point out that something has been missed? So too, the explanation of the derivation of the name “Istanbul” also seems a bit confused. “tnv” (long “e” in the middle) is a simple “the” and ‘polns’ (again with a long”e” before the concluding sigma) refers to ‘many; the latter if not the same as ‘polis’, which means city (apologies for not possessing a keyboard with the exact Greek designations). The history of Istanbul is more that its Hellenic occupation, irrespective of the names given to the city. It is clear from archaeological work in Turkey as a whole, as well as the area now connecting the Black Sea with the Mediterranean (the greater Istanbul area, if you like), that an important aspect of the city’s history precedes Greek occupation. This is what I would find exciting if I were to read the book – which I intend doing. Bettany Hughes is an historian who communicates in an exciting, modern idiom without robbing the history of its context – appealing to non-specialists as much as specialists. It is indeed an excellent book. Written by an excellent writer who is young enough to use the occasional colloquialism. It is a must read for anyone who is at all serious about Turkish history. Ditto for anyone intending to visit this wonderful country. I’m not sure about the book as I’ve not read it, but if it is a tome on Istanbul, the reviewer has misssed a critical point. Byzantium the city had been a Greek city from 700BCE, the last emperor of Western Rome, Constantine made Byzantium the capital of the new Holy Roman Eastern Empire, it then became the seat of Hellenism, Greek spoken up to 1921. The term Istanbul comes the the segregation of three Greek words ις is (towards) την tin (towards) πόλης (polis) city. The City of world’s desires as it was called was greek from 700BCE to 1921 – even after it was subsumed by the ottomans in 1453 it was still overwhelmingly Hellenic and multicultural. In 1921 over 2 m Hellenes were pushed out of modern Turkey and it was the last time Constantinople spoke greek. The Greek Orthodox Archdiocese is still in Istanbul.